This is what Jesus said about heaven and hell. What if you could spend 30 seconds in heaven and 30 seconds in hell? Which of the two do you think would give you a greater burden for lost people: the glory and majesty of heaven or seeing and hearing those in agony in hell? Today, we are going to consider two things we need that are in hell. In the passage we are going to look at, Jesus pulls back the veil between this world and the next and shows us there is a heaven and a hell. 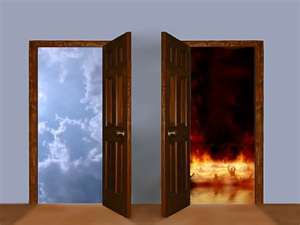 There are only two eternal destinies and everyone in this room will end up spending eternity in one of them: either heaven or hell. There are only two directions you can go after death. The message to the church from these blog posts emphasizes the need to take note of the signs of the last days, the lateness of the hour, and to prepare for the return of Jesus for His church. Here is a link I just added- a blog by two sisters who share their faith in God.